Coldplace, the world’s number one tribute to Coldplay, comes to Clair Hall, Haywards Heath, on Friday, March 16 (7.30pm). The band promise an unforgettable evening with dazzling lasers, lights and all of the band’s hit songs. 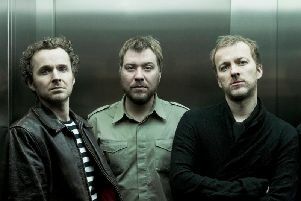 Formed in 2004 by frontman Shane Crofts, Coldplace have performed all over the world and are perfectionists when it comes to capturing the Coldplay experience. “I’ve had some haircuts to keep up with Chris Martin’s look,” he explained. On top of all this Shane has actually met the real rock stars themselves. “I have met Chris three times and the whole band once,” said Shane. “Chris was really nice, and I did mention to him I was in a tribute to his band, and we were just on our way to Russia to a show. Tickets cost £18-£20. Call 01444 455440.